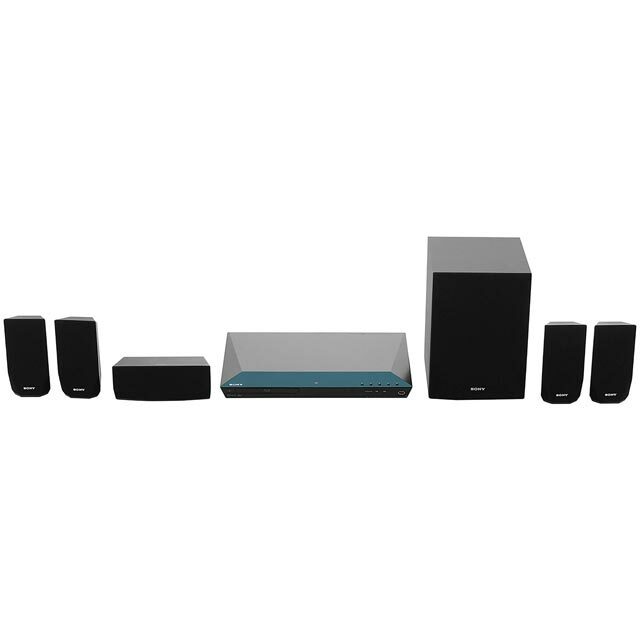 This home cinema system from Sony provides you with everything you need for the best movie nights. The speakers and subwoofer combine to give you 1000 Watts of audio power, bringing your films to life. The Blu-ray player is compatible with all Blu-rays – including 3D discs – and DVDs, so you can enjoy all your favourites. Plus, it has Smart TV apps that let you stream films and watch catch up TV on the big screen. Bring the action of your favourite films to your living room, with the high-quality sound created with the Dolby and DTS enhanced audio. Better than my previous one! Really easy to set up and the sound quality is great. Much richer sound than my previous system. This is a great system, easy to assemble and providing a splendid medium entry access to home cinema units. With a 3D BluRay player as standard, its on board menu is pretty straightforward for anyone who has used any TV / Audio interface before. Sound quality is really good straight from the box - SACD [audio surround discs] are really punchy and add a new dimension to even the most familiar old favourites. At this price and quality, there is little to complain about! The product is fantastic. I love it. It's loud more than enough. Delivery was very fast and they keep updating me as well.